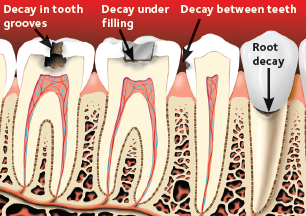 Tooth decay is a disease that damages and breaks down teeth. 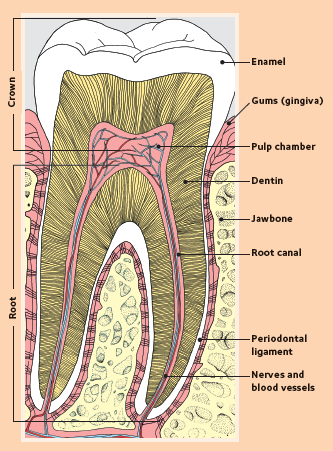 Your teeth have a hard, outer layer (enamel), a middle layer (dentin) and a center (pulp). Healthy teeth and roots without signs decay. Early decay may not be easy for you to notice. Decay under the surface may be larger than it looks from the outside. 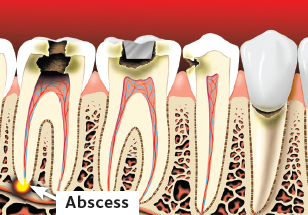 If not treated, tooth decay can cause an abscess and can lead to serious infections. You may not notice any signs or symptoms at all, so it's important to see your dentist regularly. They will examine your teeth and take X-rays if needed. • For decay that is caught early, fluoride treatments may be all that is needed. 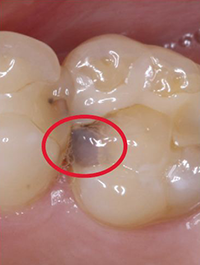 • If decay has formed a cavity, you'll need a filling. • If the cavity is large, you may need a crown. 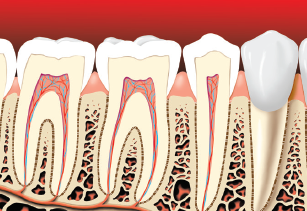 • If the cavity has caused the pulp of your tooth to be infected or inflamed, you may need a root canal. 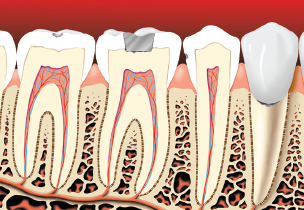 • For a tooth most badly damaged by a cavity, it may need to be removed and replaced. • Brush your teeth with a fluoride toothpaste 2 times a day and for 2 minutes each time. • Clean between your teeth every day with floss or another between-the-teeth cleaner. • Limit how often you snack and sip on sugary foods and drinks. • Drink water with fluoride as much as possible. • Visit your dentist regularly for an exam and a professional teeth cleaning. • Dental sealants applied to back teeth (molars) are a treatment option that can lower your risk even more. • Use oral care products that have the American Dental Association's Seal of Acceptance. It means they have been tested and show they are both safe and effective. Decay under a filling photo captured by Dr. Joseph Nelson II. 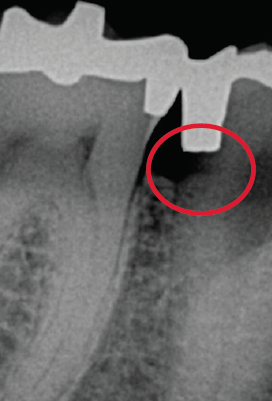 X-Ray of decay under a filling photo courtesy of Dr. Padmaja Mutyala.